The strait of Gibraltar and vast deserts are separating the Maghreb from other parts of the world. Unrealistic ideas of a tunnel between Spain and Morocco are more than hundred years old and in 2004 they re-emerged. 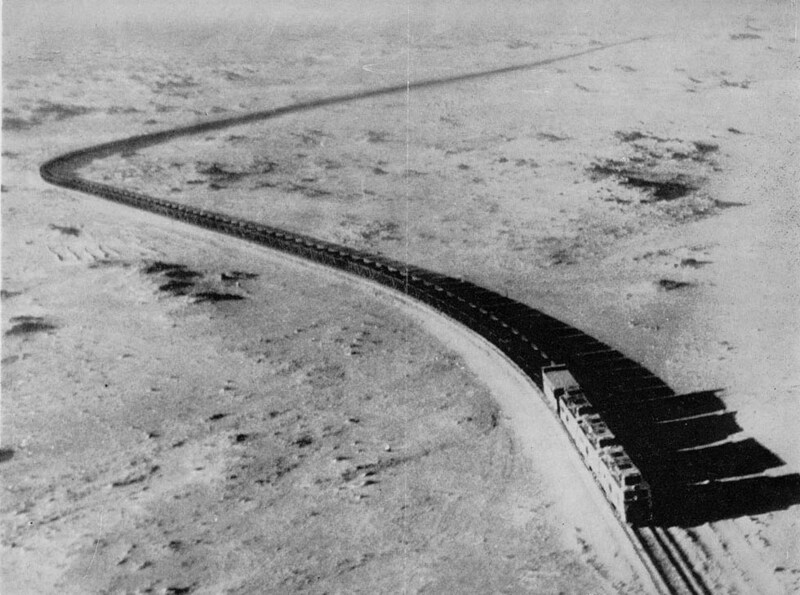 A railway from the Maghreb to Egypt was never built. To carry the British Indian Mail by steam ferries across the Strait of Gibraltar and then by rail to Egypt had been a dream by English railway "king" Watkin. 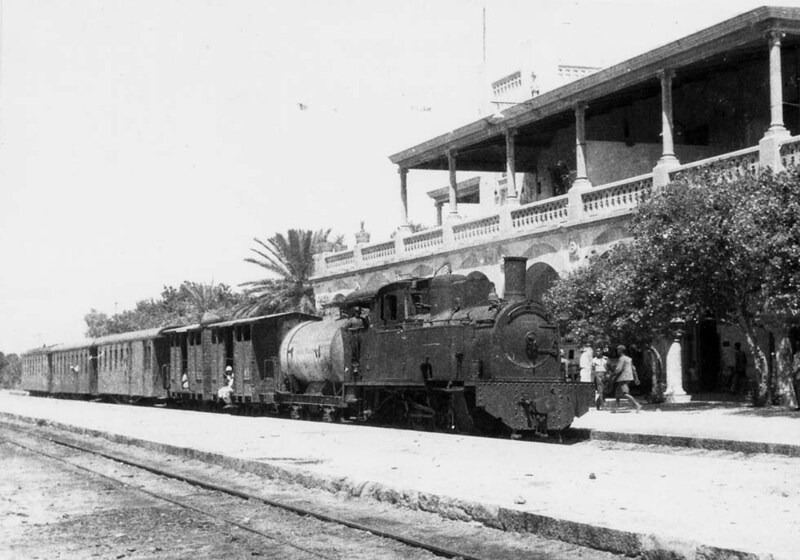 However, only Libya got an isolated 0.95m gauge line from 1912 at Tripoli and another one at Benghasi. 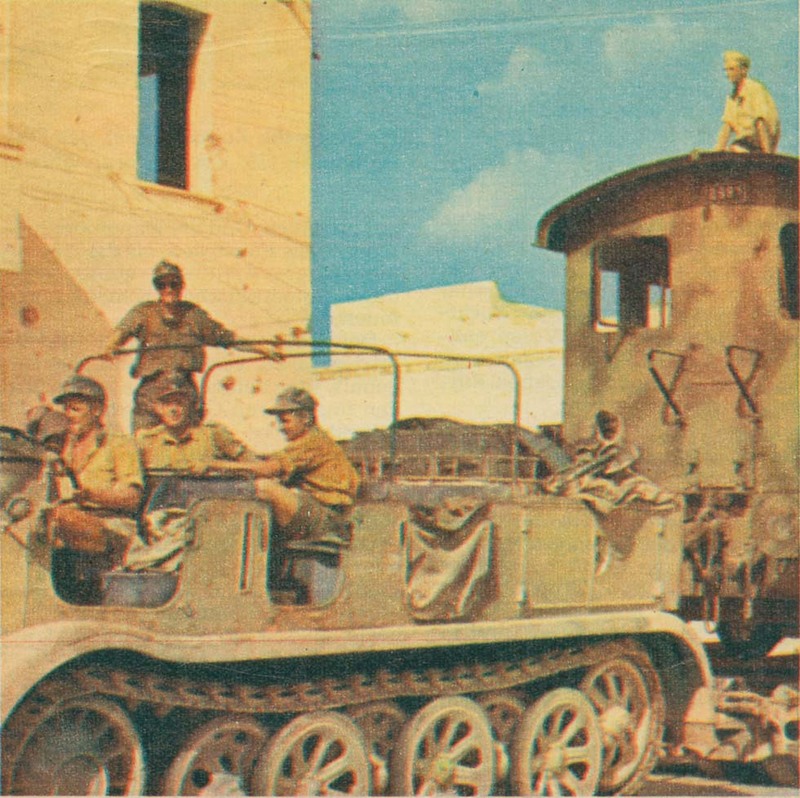 Under Mussolini, Fiat railcars from Sicily were running in occupied Libya, besides small steam locomotives. During WWII the railway was used by Rommel's troops with German war diesels and then by Montgomery's army. 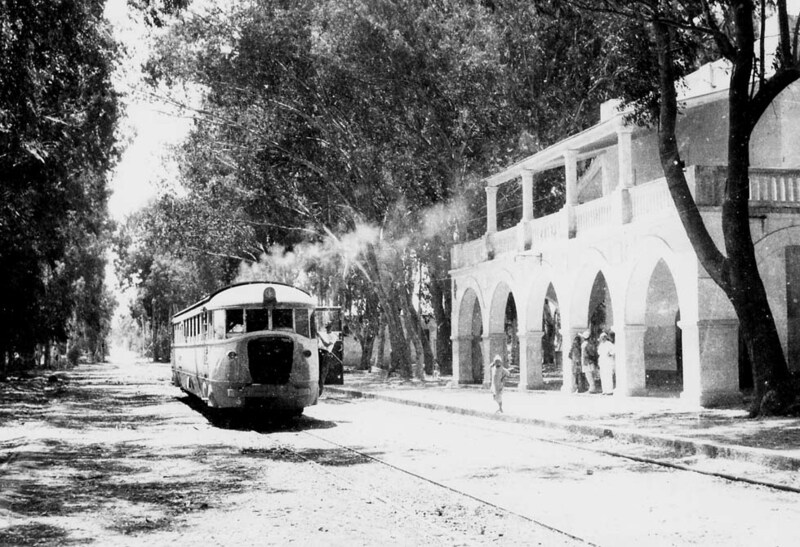 It no longer exists and the project from 1972 of a standard gauge line Tripoli - Tunis remained a dream. A coastal line Benghazi – Surt is under construction. The bigger dream was a rail link between the "French" Maghreb and "Le Soudan Francais" across the Sahara. A first proposal became known in 1879, but after a mission was killed in 1881 by the Touaregs, only in 1912 and then in 1923 new proposals were made. In 1928 the French government ordered a feasibility study, carried out by engineer Maitre-Duvallon. It recommended an extension of the standard gauge line Oujda - Bou Arfa (not the existing 1.055 m gauge Oran - Colomb - Bechar) to In-Tassit and from there westward to Bamako and southward to Cotonou and Fort Lamy. 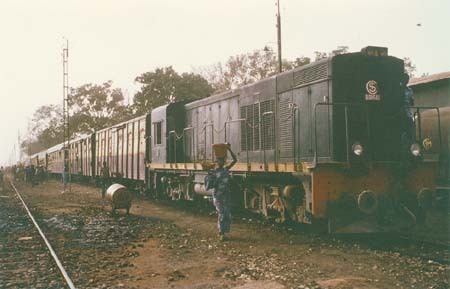 The trip from Alger to Bamako over more than 4300 km in 2 ½ days should have been enabled by heavy diesel locomotives. The government however was not able to finance the project, mad private proposals followed and only in 1941 by the Vichy government, tolerated by the Nazis, the Méditerrannée - Niger once again was pushed forward. 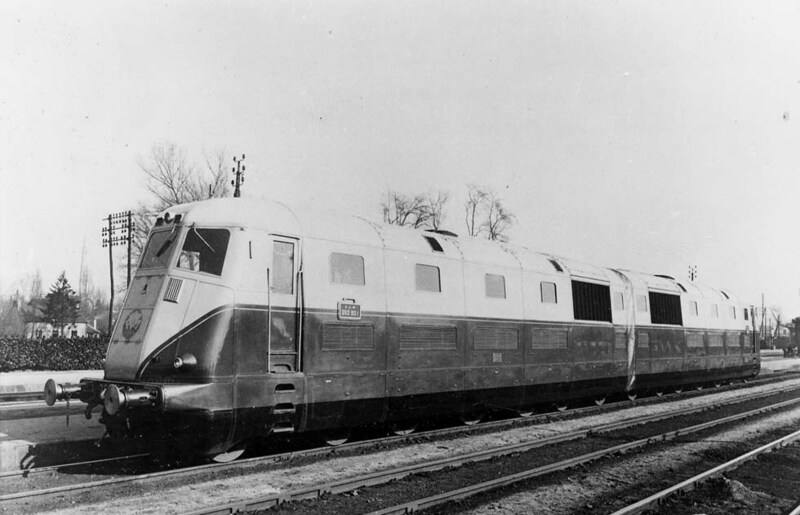 From that time was the proposal by engineer Roosen for a 2-12-6 type steam-motor locomotive, much less realistic than PLM's two 3800 hp twin-diesels AD1 and BD1 from 1937, which hauled Rapides Paris - Marseille and temporarily even the Train Bleu. Were they considered as Trans-Sahara prototypes? Engines like the blue/light-grey BD1 really could have hauled the white expresses with luxurious CIWL service, an unfulfilled dream. Algeria's independence in 1962 marked the end of the Méditerrannée - Niger project. Beyond the Sahara a meter-gauge connection Bamako - Dakar existed, the Dakar-Niger, with a branch to Saint-Louis on the mouth of the Senegal river. Still now that line links Senegal with Niger. In the Western Sahara, in guerrilla-ruled Mauretania, French general Calmel already in 1922 proposed a "Transmauretanien" to connect Mogador port in Morocco with the Senegal, avoiding Spanish-Sahara. It remained a dream. Quite another railway, a standard gauge line for phosphate transport, was built by the French Miferma company in 1963 between Tazadid, an isolated place in the desert, and the port of Nouadhibou (Port-Etienne). Up to five Alsthom or three green General Motors diesels hauled 20000 ton-freight trains. 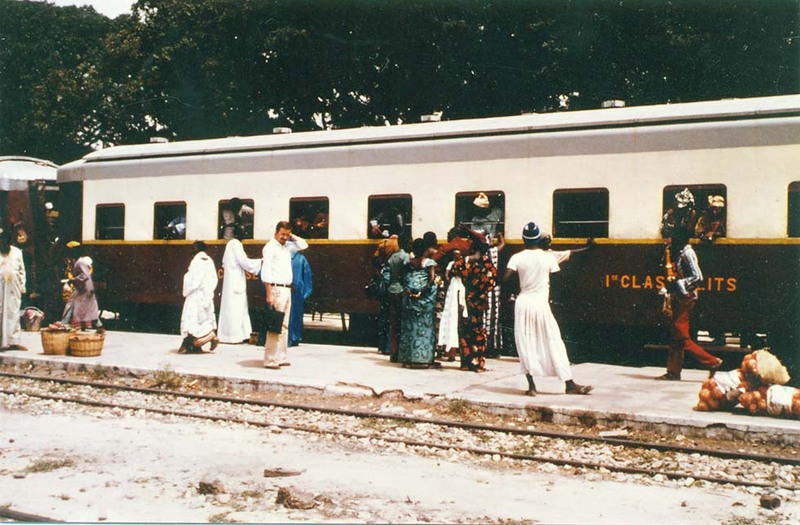 Sometimes people (and their animals) secretly travelled on it and in 1973 SNTFM coupled a coach Zouerate-Nouadhibou to the rear of the trains, two kilometers long. Around 1990 SNIM announced couchette service and then ATTM offered even sleeping accommodation together with motorcar transport on the way through the desert. A sensation was announced in 2000: A tourist special, consisting of a twin-deck and another coach, light-blue and cream colored, hauled by a turquoise/cream Alsthom - le Train du Désert. Literature: Bejui/Reynaud/Vergez-Larrouy: Les chemins de fer de la France d'Outre-Mer. M.D. Lengellé (Vauquesal-Papin) /Bruno Carrière : Le Transsaharien, in La Vie du Rail 1986.